AMAZING 3D Racing +++ BATTLE YOUR FRIENDS on 8 TRACKS . > K.O. : Make sure you're not the last or you get kicked out of the race. Great fun with lots of emotions! > Cups: Compete in racing series and earn cool rewards. > Single Match: Keep racing your favorite track – with friends or on your own. > Time Trial: Have you perfected your technique? Can you master the drift round the bend? Do you feel invincible? Show them how it's done! > The ultimate challenge: With each level the game becomes faster and your opponents stronger! > Or compete with up to 6 players via a local network, with each player playing on their own device. > Race and battle with friends and family in cups or individual races. 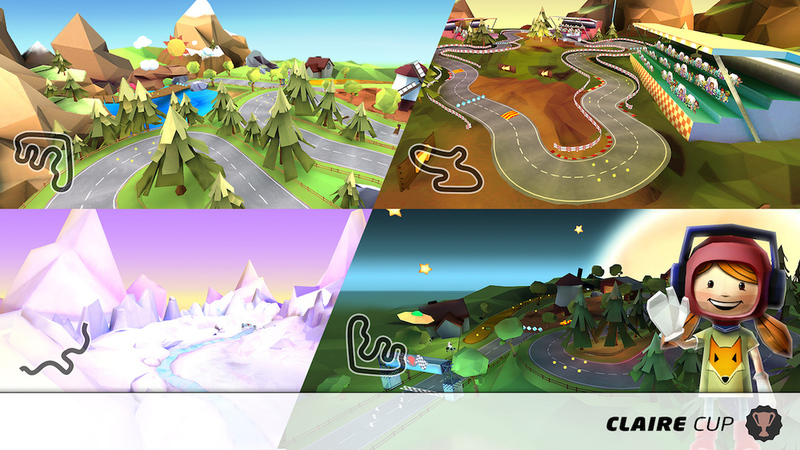 > Increase your skill level and earn points with each race! Or with up to 6 devices in your LOCAL WIFI!